It’s great to be back bicycling again. Biking is an activity that requires dry weather, or at least mostly dry weather, in my book. While I rode the Chilly Hilly in February, I’ve been doing more running, walking and elliptical machine work so far this year, because of unpredictable weather. In spite of that unpredictability, I signed up for two late May bike rides, the 7 Hills of Kirkland and the Flying Wheels Century ride, within six days of each other, to get back riding again. One down, one to go. The first ride, the 7 Hills of Kirkland (40-mile version) on Memorial Day, felt great. 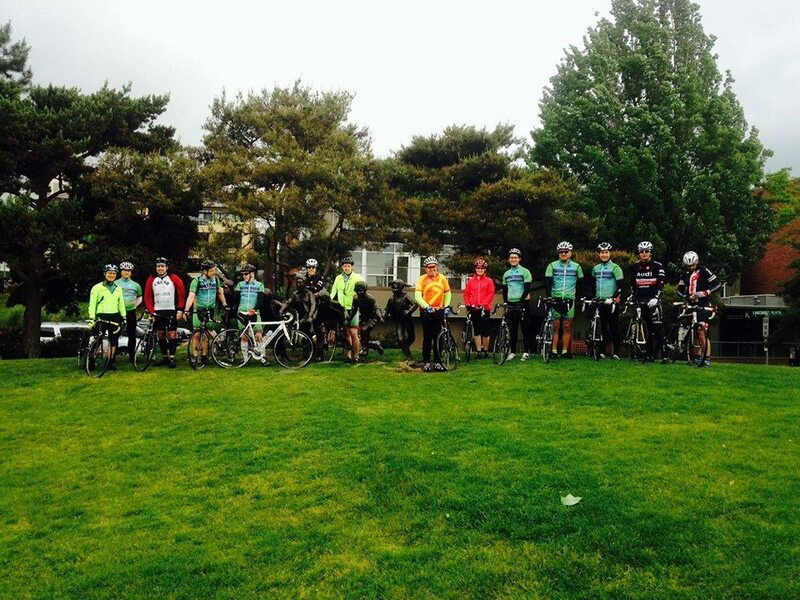 Showers had threatened to drench or annoy the riders in last Monday’s ride, but they didn’t happen. The sun was out for most of the ride, and it was pleasant and fun, even if the seven hills were as challenging as I remember them. The 7 Hills ride is all about the hills. It’s name, “The 7 Hills of Kirkland,” is slightly misleading, however. 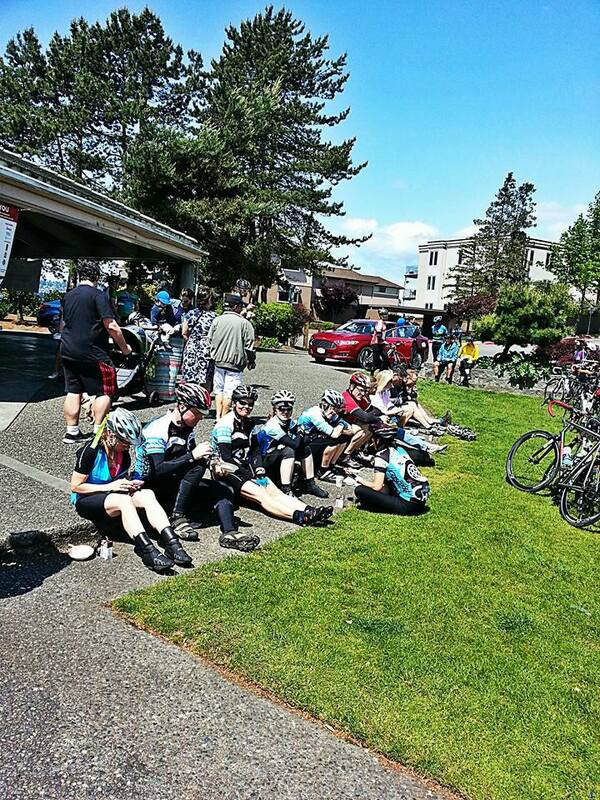 The ride crosses into six cities — Kirkland, Bothell, Kenmore, Woodinville, Redmond and Bellevue — and at least two of the hills are not in Kirkland. 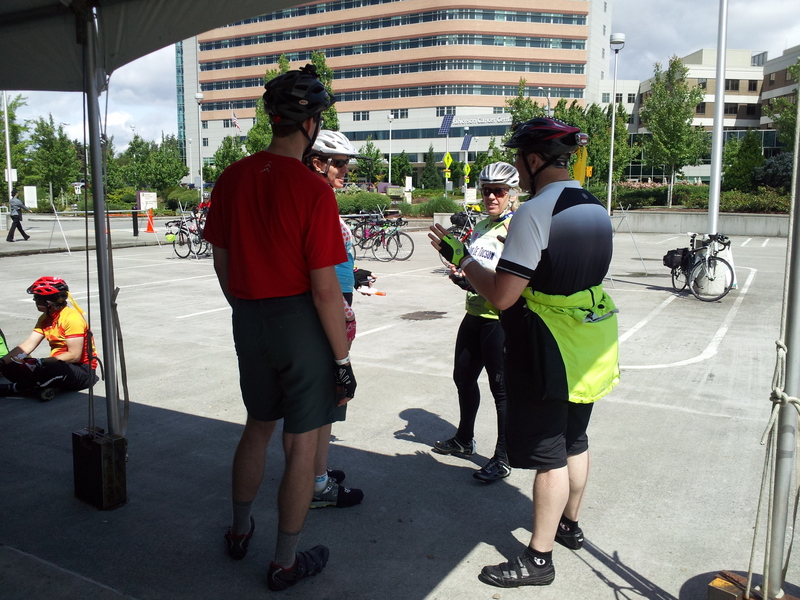 The ride starts and ends at Marina Park on Lake Washington and does a rectangular loop around the Eastside. I did this ride two years ago, and remember well how the hills — two in particular — made it a tough but worthwhile ride. I feel the same way after doing it again, but must add that this event benefits KITH, a charity seeking to end homelessness. So supporting that cause was certainly another good reason to do this ride. In my blog post after the May 2012 ride, I broke down each of the seven hills. I won’t do that again in this post, but will talk mostly about two toughest hills — Seminary Hill, going through a forested Juanita area along Lake Washington and into Kenmore, and Winery Hill, a residential area just west of Chateau Ste. Michelle winery in Woodinville. I did my 2012 ride with my first bike, a Schwinn 7 hybrid with extremely low gears. That helped get me up the steepest hills, including these two. My second bike, a Trek 1.1, is a better bike for overall riding and hill climbing, but is without those super-low gears I used to have. So I worked harder to get up the steep sections of Seminary Hill (elevation 455 feet) and Winery Hill (390 feet). In fact, in going up Winery Hill, a hillside subdivision just off Willows Road, I had to weave back and forth across the roadway to make it up a particularly steep section. I’m lucky there was no traffic. This is very unsafe and I don’t recommend it. But I was consumed with conquering the hill. I am happy to say I made it up all seven hills, but these two gave me the most trouble (same as it was in 2012). Lesser challenges were Norway Hill (475 feet) in Bothell and Rose Hill through Redmond and Kirkland. It has the highest elevation at 525 feet, but is a gradual incline spread over three miles. The good news is that I was totally spent by the hills, and I surprised myself with a ton of energy in a five-mile kick to the finish line. I finished the ride in four hours, counting time at a food stop, and I beat my previous time by up to a half-hour. My takeaway is that, with more riding experience, I am getting better and more competitive as a climber — with still a ways to go. I rode in a pack of riders that naturally spread out through the several descents and flat areas and seemed to regroup come hill time. That was fun, though I didn’t know any of seven or eight riders I was packed with. Didn’t matter. Everyone seemed to be enjoying the ride. But I must wrap this up because I have another ride — the Flying Wheels 100-miler — on Saturday. I’ll see how far I’ve come as a climber when I take on the two tough hills that get you up and over the East Lake Sammamish Plateau near the start and the end of this ride. This will be my third century overall, and likely my only one in 2014. We’ll see. The Rainier-to-Ruston Relay race (a running event) follows on June 7. I’m doing that to fulfill a commitment to the organizer, a friend from Zones. After that, I’ll take a break from being a weekend warrior. This entry was posted in 7 Hills of Kirkland, Bicycling, Century, Chilly Hilly, Flying Wheels, Relay race, Running, Walking and tagged 7 Hills of Kirkland, Bicycling, Chilly Hilly, elliptical machine, Flying Wheels, Relay race, Running, Schwinn, Trek, Walking. Bookmark the permalink.